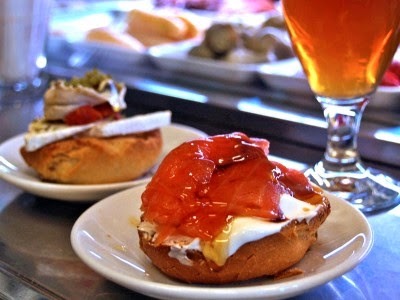 Are you looking for the best tapas bars in Barcelona city? Then, we would like to introduce Quimet & Quimet Tapas Bar. There are many good tapas bars in different areas of Barcelona city but you can be sure that Quimet & Quimet is the best tapas bar in Barcelona. We hear that previous visitors say Quimet & Quimet is really small and there are no seats in the bar which looks like a small room but with all heart we can say that, this tapas bar offers really best small dishes such as salmons with yoghurt and honey, croquettes, yoghurt with anchovy, canned preserves ,etc. Quimet & Quimet offers their visitors best tapas in the city. Thinking of canned preserves may look like you will have to eat frozen undelicious food which are sold in the supermarkets but no, not in Quimet & Quimet bar. The restaurant's specialty is canned preserves. Since four generations Quimet family have run this tapas bar. Quimet & Quimet which was founded in 1914 began its business life by selling really great tasteful wines but in years it has improved itself and started to offer some small bites with wines and now in the 21th century it is the best . You can try foie gras, some special cheese and delicious salmon kinds. With long walls hosting many wine bottles, Quimet & Quimet looks very cosy and friendly. Generally, bars and these kinds of tapas bars don't hold any seats so that visitors can feel themselves in warm atmosphere and have chance to socialize much more. Quimet & Quimet is the place where you can taste real delicious Sangria in Barcelona city. They make their own wine. It's a take away restaurant and if you want you can spend time with your friends or alone inside the bar feeling yourself like local Spanish. You should be prepared that Quimet & Quimet is not open in August. So summer tourists may feel angry but in Barcelona, it's widespread not to work in August. Is Quimet & Quimet expensive? We think that you can find any kinds of food at reasonable prices which cost approximately 30€. The prices vary between 5 and 30€. It is open Monday to Friday from 12 to 16hr and from 19-22.30hr, Saturday from 12-16hr. Quimet & Quimet is closed on Saturday night, Sunday and August. So take into consider these times and dates while visiting Quimet & Quimet restaurant. You will not regret if you pop in this cosy tapas bar in Barcelona city. You can read our articles about food and drink in Barcelona city so that you can have the chance to make the best of your holiday in Barcelona. Where to eat and drink in Barcelona will not be a question for you anymore as your Barcelona city travel guide will keep on informing you about best restaurants in Barcelona . You can arrive at Quimet & Quimet by using Paral-lel M;L2,L3 metro. 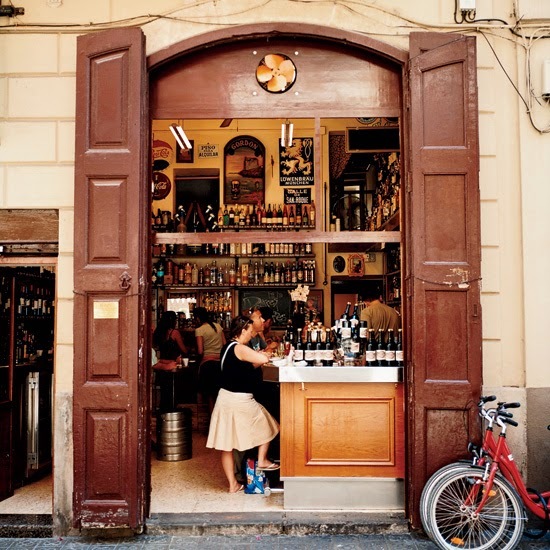 The bar is located at Poble Sec, Montjuic. The address is Carrer Del Poeta Cabanyes, 25. For more questions you can call 93 442 31 42. Enjoy the best tapas in Barcelona! Here is the map for easy access.